We created the new SorbiCap after extensive research into the challenges facing pharmaceutical, in-vitro diagnostic and dietary supplement product manufacturers. 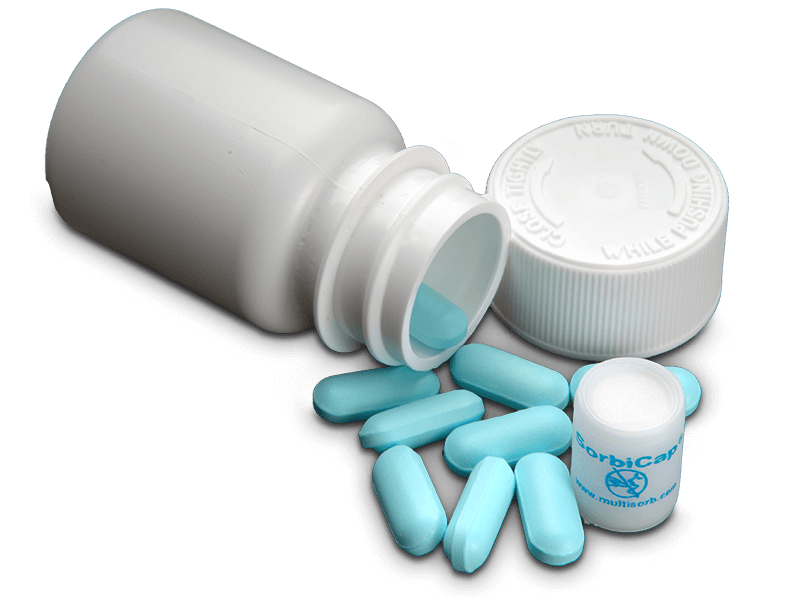 Compared with other canisters, SorbiCap is designed to give you a superior, non-dusting, inseparable, cost effective product that delivers effective adsorption rates while fitting your packaging requirements. This carefully designed moisture absorber canister features welded ends that stay sealed, even under extreme pressure. Carefully designed porous plastic ends eliminate the chances of product dusting. 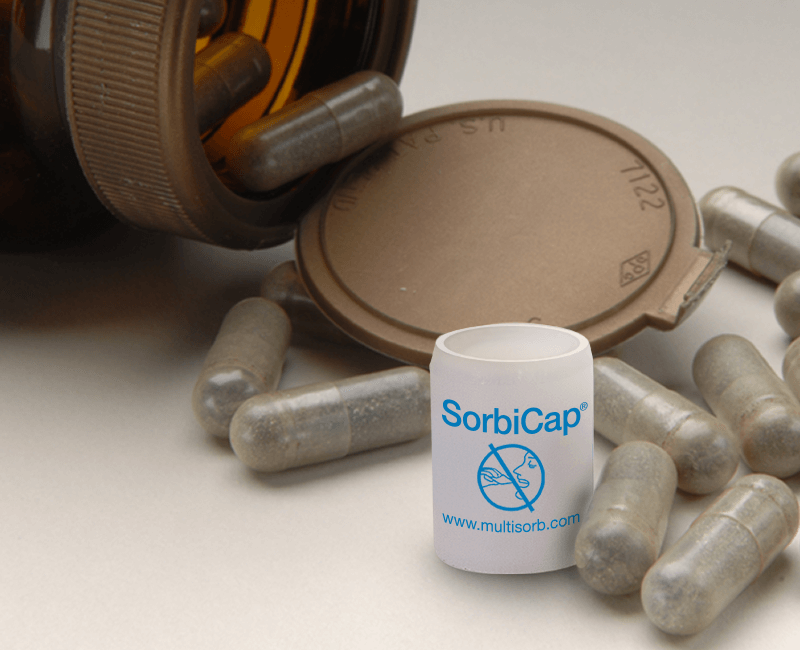 SorbiCap Desiccant Canisters can be produced with your choice of sorbent, including silica gel, activated carbon, molecular sieve and blends. SorbiCap is designed for use on your packaging line, easily replacing other canisters. It is sized to your existing dispensing equipment, saving you from expensive or complex alterations to your production line. SorbiCap is made of FDA grade High Density Polyethylene (HDPE) so there is no need to perform additional compatability testing when switching from and alternative desiccant format of the same material. 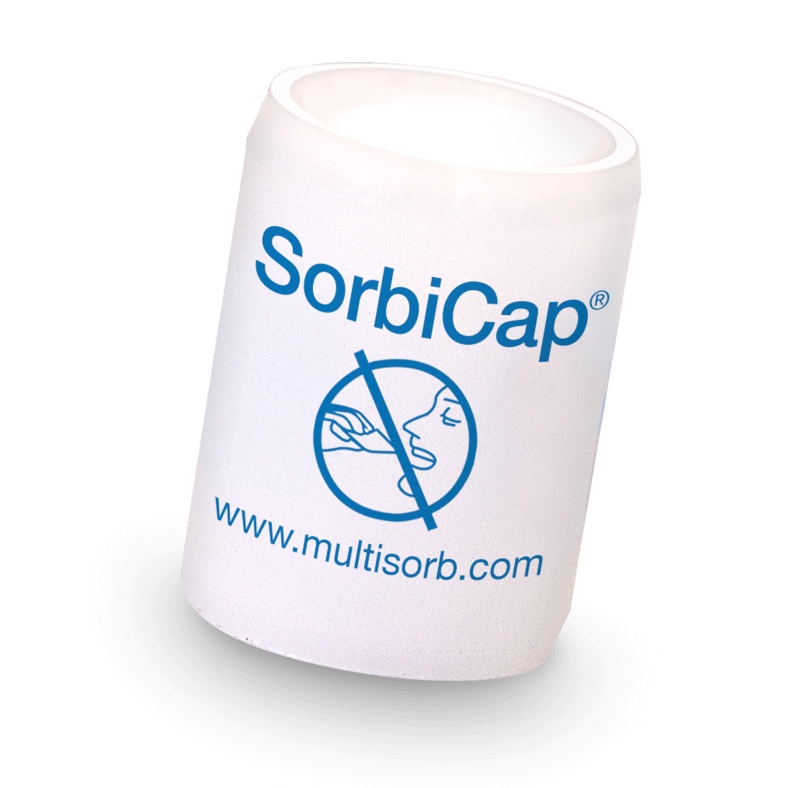 SorbiCap can withstand irradiation to allow for final product sterilization.